Are you postponing the social studies unit about presidents because you dread hearing the same, tired reports and posters? With these teacher ideas for president presentations, you can help students explore the details of an administration, make inferences and draw conclusions about the president in question, and share what they’ve learned in their research, all without boring everyone to tears. This strategy provides practice with many skills beyond the simple biography of a president. Each student will research and then take the role of a particular president, while the rest of the class will be journalists until their turn at the presidency. As the president, students must not only be familiar with the high points of the administration, but must be able to analyze the effects of the events and policies of the chief executive in order to be able to answer the “press" questions. The students should prepare a broad outline of the main events, policies and legislation of the administration for the journalists. In addition to learning about their assigned president, students will need to write open-ended questions from the outlines provided. Most of the questions can be broad enough to apply to more than one president, but they should be encouraged to address at least one topic specific to each president. For example, a student journalist could ask any president “How will the U.S. interact with other countries under your administration’s policies?" The student should also have something along the lines of “Why did you issue the Emancipation Proclamation?" for President Lincoln. Offer an opportunitiy to a student who writes well by having the student prepare a press packet, including a brief biography, a press release about two (or more) events of the administration and a related picture. Bring some refreshments to class, and you’ll hook even the most reluctant student into participating. For this activity, students begin by researching the assigned president and creating a calling card. The card will have the president’s name and the dates of his presidency. On the back, the student will list three to five important facts about the administration, along with one or two “fun" facts. On party day, the guests dress in clothes appropriate to the historic time of the president and mingle with the other guests in the character of the president. Encourage students to discuss foreign and domestic policy, taxes and other topics as if the president was talking with colleagues. For this project, the students will have the opportunity to add drawing and designing to research and speaking skills. You have been selected to create a memorial to your assigned president. You will need to select a theme, based on what you learn about the chief executive and his administration. Your memorial may include a monument, but it must include at least five important events, policies, or facts about the president and his time in office. Those may be represented in paintings, sculpture, or any other means you choose. You should make a scale model of your proposed memorial, which you will use to supplement the speech you make to “Congress," in which you make the case for funding the building of your design. When all of the presentations have been completed, you and your classmates will vote on the three models to be constructed. After the presentations, line up the models with small envelopes in front of them. Give each student three small paper strips on which he should write his name. Students vote for funding a model by placing one of the strips in the envelope of their choice; they may place all three in one envelope, or split them in any combination. 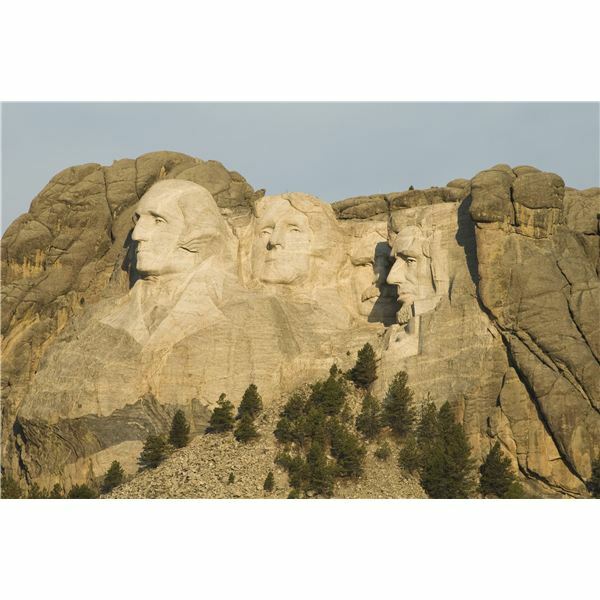 With these ideas for teaching through the unit on presidents, your students may not be the only ones learning something new about our nation's chief executive. These activities come from the author's years of classroom experience.